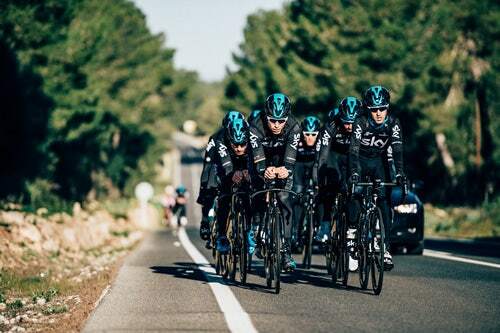 Team Sky is a British professional cycling team that has been pushing the limits since it was formed in 2010. With multiple Tour de France general classification victories in 2012, 2013, 2015 and 2016, the team’s continued success stems from a strong preparation regimen. Wahoo Fitness has been a proud sponsor since the 2014 season as the official supplier of power trainers. 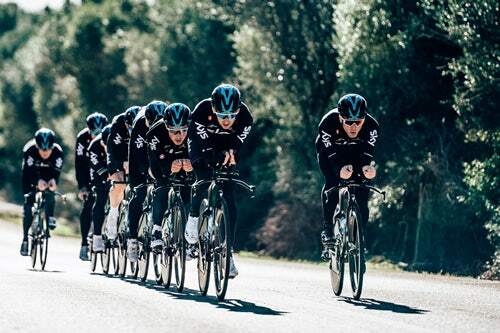 Wahoo Fitness proudly supports Team Sky and provides KICKR Power Trainers for use during the season. 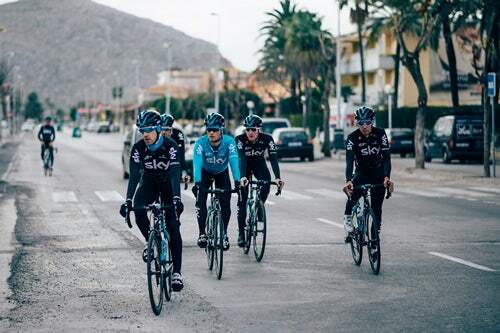 Team Sky uses the KICKR for pre-race warm up and post-race cool downs. Each rider also has an individual KICKR for at home” training sessions. With a wheel off design and super flywheel, the KICKR is engineered to produce an ultra-realistic road feel, equivalent to the inertia of an actual rider on the road. A direct power measurement at the hub provides consistent and lab accurate power readings for every grueling mile which is highly important for Team Sky’s level of training. Q: Why did you choose the Wahoo KICKR? Q: How has the Wahoo KICKR benefited your training?